Our friends from PowerVault shared this helpful graphic earlier today. I’d add that not only should pans be covered, but that any extract over the cooker should be used to avoid condensation. This entry was posted in General Tips on 24/09/2017 by Greening Me. 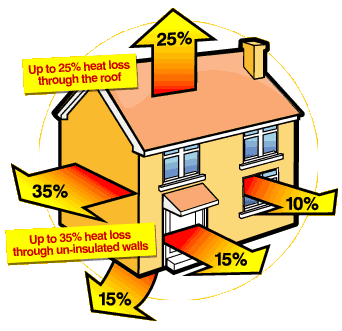 I was reading a newspaper article earlier which highlighted a 3 bed semi with annual energy consumption costs of £500. Our net energy consumption costs for my early ’70s 4 bed detached in 2015/6 was £400. That includes charging my electric car. Economy 7 electricity (Oct 2015). I spent £1,000 on gas and electric in 2015/6 which was partially offset by £600 revenue from my solar PV giving net costs of £400. Given that some of the above were introduced during the year, a full year’s use should reduce consumption further. This entry was posted in Energy, House on 22/10/2016 by Greening Me. Well, after nearly 20 years in the previous house the time came to move. What had started as “One man’s journey” became a couple’s journey and then a family’s journey and eventually the point was reached that enough was enough, or rather non-enough was not-enough when it came to space. A journey that started with my wife proposing a new conservatory (opposed by yours truly) ended up with a significantly larger house about a mile closer to the station. So far for the good news. 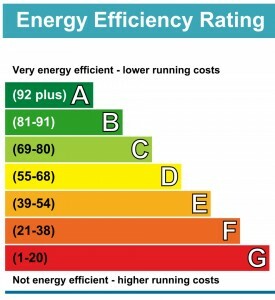 The bad news is that our new-to-us 1970s detached house was rated E52 (on the UK’s scale of A100 to G1 for environmental performance) on the seller’s Environmental Performance Certificate. Fortunately it did have a full set of 2-year-old double glazing but not much else – including it turned out an arthritic boiler that couldn’t heat all the radiators but did manage to heat both expansion tanks in the loft. So, over the last few months, we’ve been sorting out a few things to improve our environmental credentials and, at the same time, reduce the energy costs estimated at £2,114 per annum (£176 per month) on the EPC. One of the first things we added was 4kW of solar panels on our south-south-east facing roof. That wouldn’t necessarily have been my first priority as autumn headed for winter, but with a reduction in the feed-in tariffs imminent it seemed sensible to act sooner rather than later. To get the highest feed-in tariff rate it turned out that I also needed a ‘D’ so I switched to low energy bulbs (worth 2 points), fitted the panels (worth 6 points), all of which should have got me 8 points so a D60 and then ordered a new survey..
o Lighting – from 1 to 5 stars with all my new low energy bulbs. That latest list amounts to 12 points which should have got us from E52 to B85. 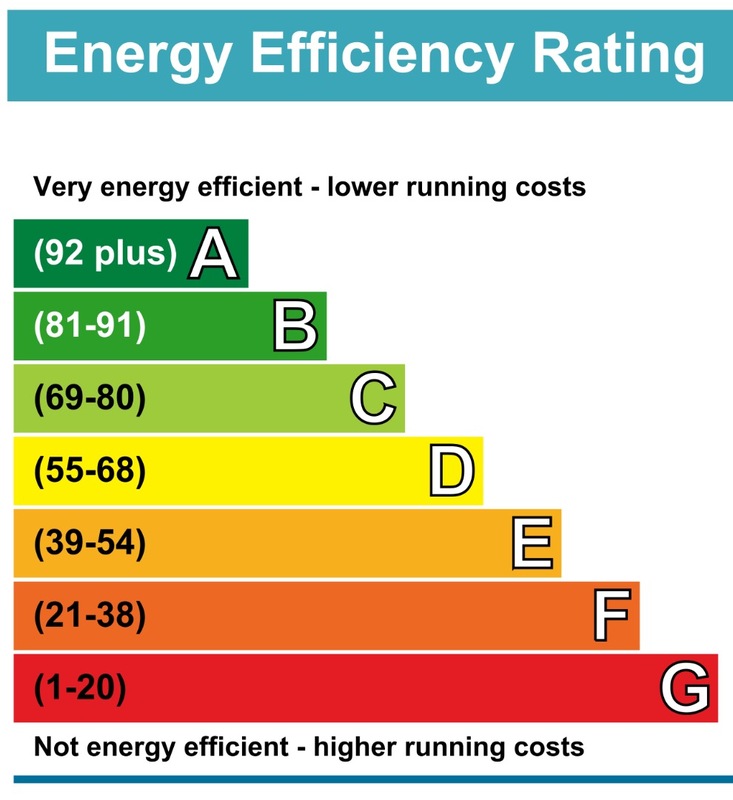 This entry was posted in Environmental Performance Certificate (EPC), House on 28/03/2016 by Greening Me. This is for the moment something of an experiment as this is my first attempt at creating a blog, so polished it ain’t but hopefully it will get better over time. Like many people I’m concerned about the state of our planet. It would seem that those of us in the west need to make some significant changes to our lifestyles to try and stop catastrophic damage to our world. Some reports talk of global warming wiping out whole countries and creating hundreds of millions of refugees. Something needs to be done. Someone needs to do something. Then it occurred to me, here I sit in the UK in one of the world’s wealthiest countries. I have a well paid job, and a nice home. If I can’t change my lifestyle for the better, then who can be expected to? So over the coming months I’m going to be logging some of the changes that I’ve made. Some are quite big, and others are quite small, but among them there will be something that everyone can do, because even the longest journey is made one step at a time. This entry was posted in House on 08/09/2007 by Greening Me. 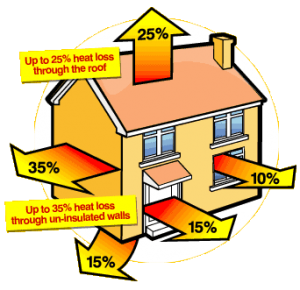 One of the easiest things that can be done to reduce the environmental impact of your home is to use renewable energy. You could of course buy your own wind turbine or cover the roof with photovoltaics, but those are both quite expensive and may not be appropriate for all homes. 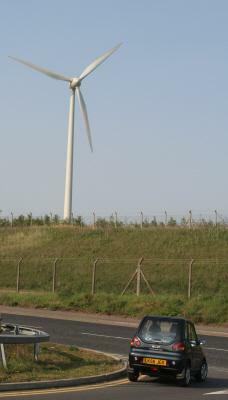 However that doesn’t stop you using renewable energy. You might not be able to make your own, but why not buy it from someone else? Just as you can shop around to buy cheaper electricity you can also shop around for greener electricity. 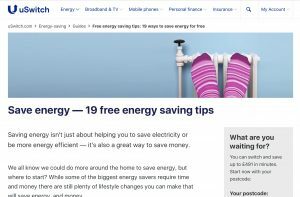 A service like Simply Switch can quickly find you a greener electricity supplier, and depending on who you buy your power from now it won’t necessarily be any more expensive.